It’s beginning to look a lot like Christmas and recently my sister-in-law taught me and my dad how to make our very own homemade Christmas wreaths. 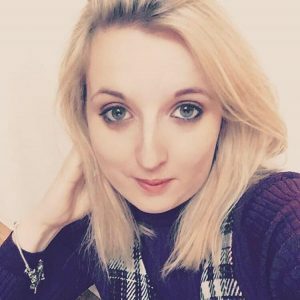 We’d been talking about doing a local course for a while but they all cost around £50 at least which as you know is valuable money I could be using for my house and holiday saving accounts! Instead we decided to have a craft evening at home as a family. We played Michael Buble Christmas music, drank mulled wine and used this festive craft idea to each produce a homemade Christmas wreath. 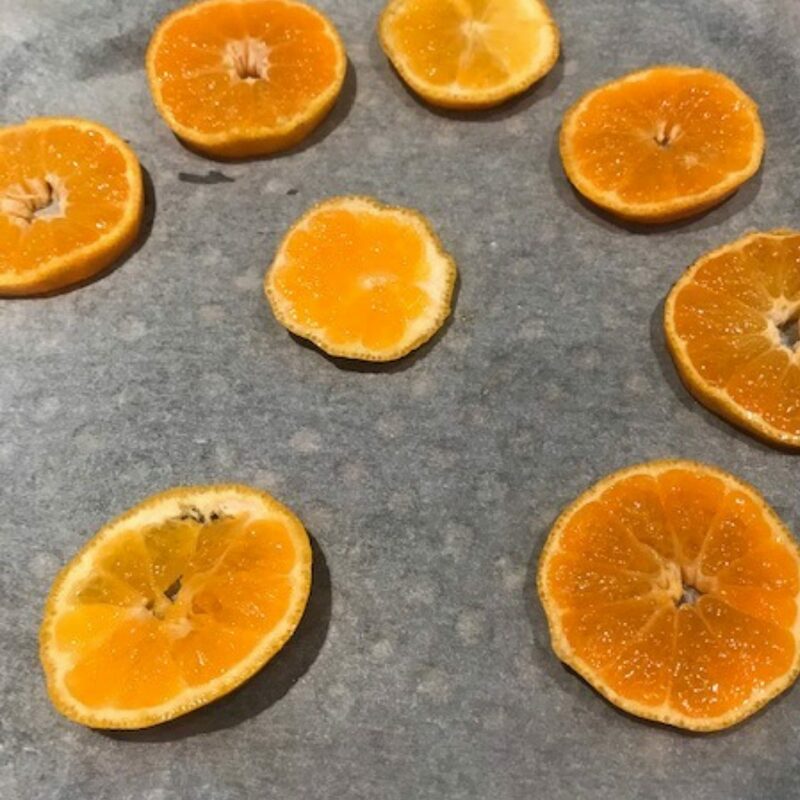 If you are planning to use oranges as decorations on your homemade Christmas wreath, slice three oranges and place them on a grease proof tray in a pre heated oven at 200oc for 2 hours or until the oranges have dried out. Collect the foliage in bunches placing a larger piece at the back then layer a medium sized branch on top and followed by smaller piece. Tie this to the moss ring using garden twine and tying it round the back. Carry on in this way building the foliage up around the ring in layers until it is completely covered. Depending on what you choose to decorate your homemade Christmas wreath with, gather the items and place them loosely so you can take a look and decide what your final decoration will look like. When you have settled on an idea attach the decorations using twine or by tucking them under the existing twine that you used earlier to attach the foliage. 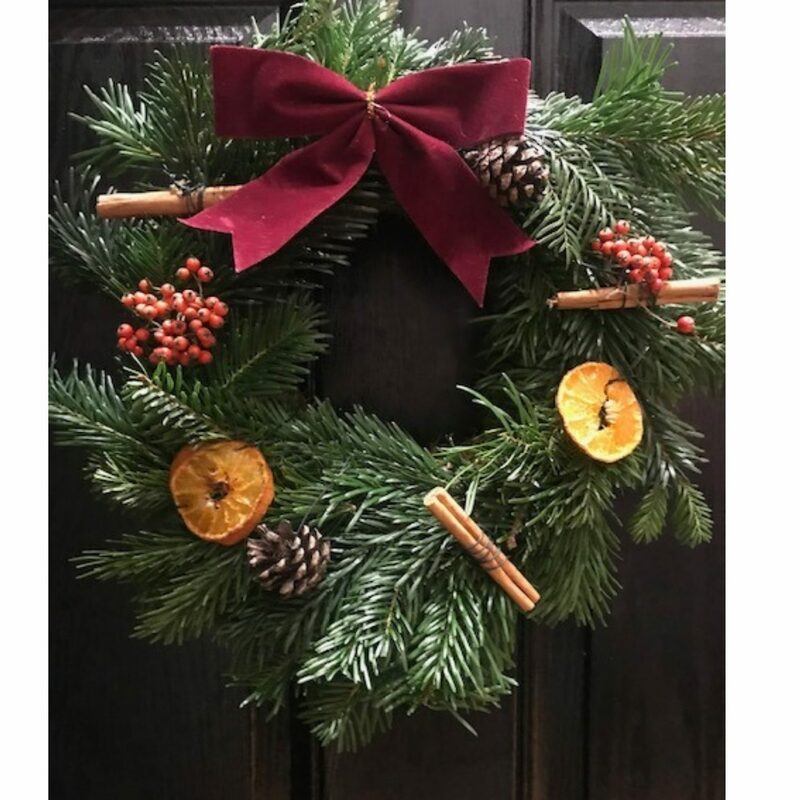 If you have decided to use the festive craft idea of dried oranges take them out of the oven, leave them to cool for a few moments and then attach to your wreath. 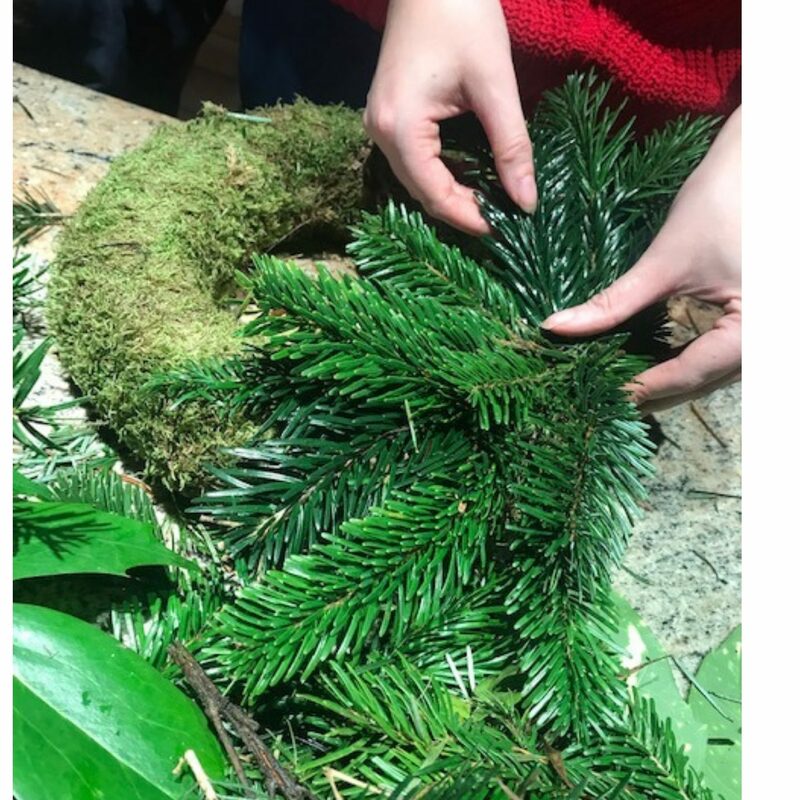 You may want to tidy up some of the foliage until you are happy with the design, then attach a bow and wrap the string round the top of the moss ring so you can tie a loop at attach it to your door. I hope you enjoyed this post and this festive craft idea has inspired you to have a go at doing something creative in the lead up to Christmas. 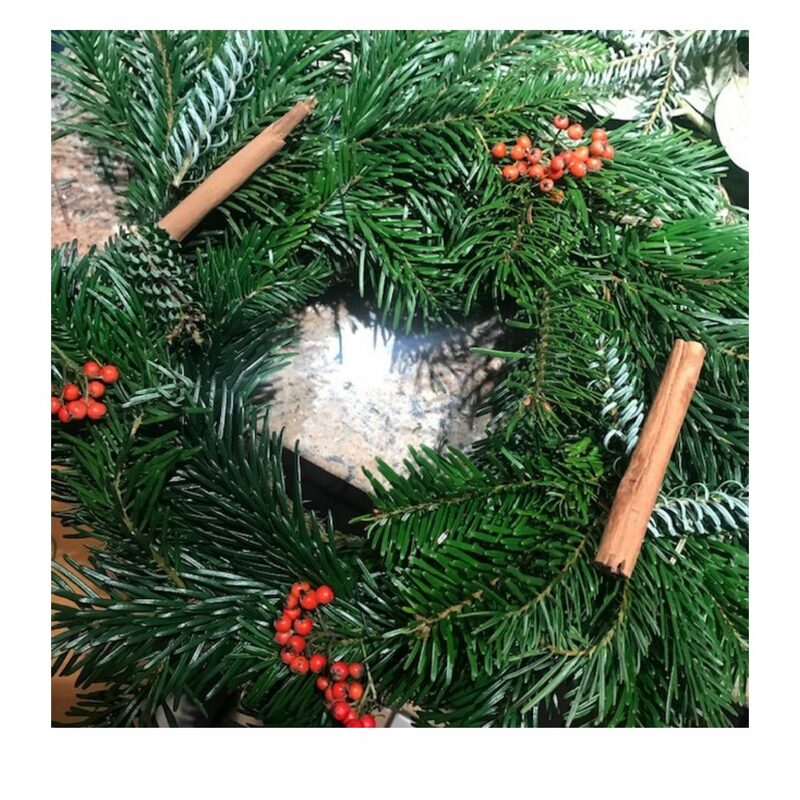 If you create your own homemade Christmas wreath I’d love to see it, so please do send me your images using my @ellegoesglobal and the #ElleatChristmas to be in with a chance of featuring on my social media channels and blog.